Virgin Australia has added a second direct service from Alice Springs, with the airline to start flights to Adelaide from the Central Australia city from March 2015. The announcement, made on Wednesday before the airline’s annual general meeting in Brisbane, comes on top of Virgin saying in October it would start Darwin-Alice Springs services, also from March 2015. The airline has also flagged further expansion at Alice Springs with plans to build a regional lounge at the airport for business class and elite frequent flyers. Virgin chief commercial officer Judith Crompton said the new three times a week service using Boeing 737-800 aircraft would break the Qantas monopoly on the route for the past 10 years. 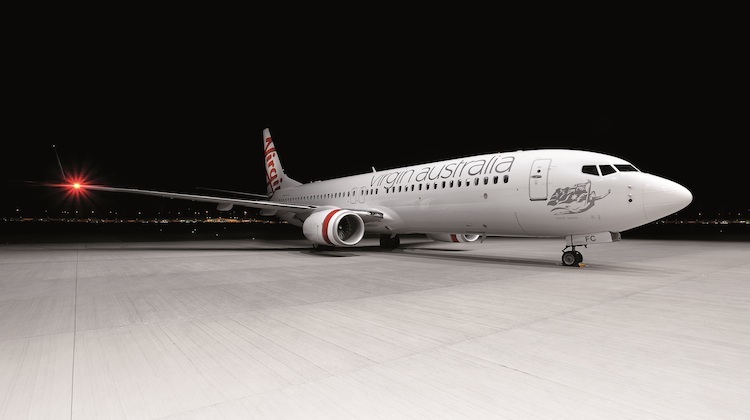 “The Adelaide to Alice Springs route has effectively been a monopoly for nearly a decade and Virgin Australia is delighted to bring choice and competition to these cities,” Crompton said in a statement. Currently Qantas and its regional carrier QantasLink operate out of Alice Springs airport. South Australian Premier Jay Weatherill said the new flights would make it easier for those visiting Central Australia to come to Adelaide. “I thank Virgin Australia for their ongoing commitment to servicing the Adelaide market, ensuring more people are able to experience the best that South Australia has to offer,” the Premier said. Tickets for the new Adelaide-Alice Springs service will go on sale in early 2015. Meanwhile, Virgin on Thursday revealed the rate at which Velocity frequent flyer points can be converted to Singapore Airlines KrisFlyer points under a reciprocal points swap initiative announced in September. Under the scheme, which the airlines say is a world first, 1.35 Velocity points can be converted to one KrrsFlyer mile, while 1.35 KrisFlyer miles can be converted to one Velocity point. Also, Virgin said its Velocity members would soon be able to search for and redeem flights with Singapore Airlines and SilkAir on its website. Good to see some competition on this route again. About time they had competition again.Close to a full day on a Greyhound Bus or going on the Ghan is not even an option for many of them up there. I would like to see Virgin add a direct Adelaide to Darwin service.